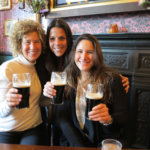 Five years ago, on the eve of the Boston Marathon bombing, we went to London so that Kathryn and Kristy King, then a medical student, could showcase a program they had led which provided a five-day immersion in integrative medicine for North American medical students. 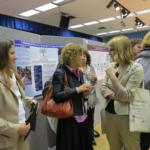 They were presenting at the 8th International Congress for Complementary Medicine Research (ICCMR) where 436 complementary medicine researchers from 36 countries met and shared their work and fellowship. The program that Kathryn and Kristy were presenting, the Leadership and Education Program for Students in Integrative Medicine (LEAPS), introduced medical students to principles and practices that help them become better physicians. It was sponsored by the American Medical Student Association and the Academic Consortium for Integrative Medicine & Health, to which Kathryn was one of the two Harvard representatives. 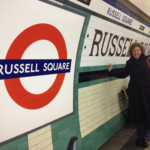 María Laura Chacón Roldán, MD visited us in London and attended part of the conference. She wondered how a program like LEAPS could be offered to medical students in her home country of Costa Rica. We heard the same message from a number of medical students and doctors we met at the conference who were from many different countries. So, the four of us began to dream about expanding the immersion retreat concept beyond the North American medical student model. 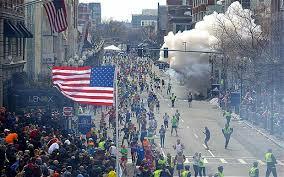 Then the Boston Marathon bombing happened on the last day of the conference. 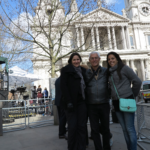 In our shock and horror, we sought sanctuary at St. Paul’s Cathedral, but Margaret Thatcher’s funeral was scheduled for the following day and the cathedral was closed. Kind security guards directed us to a small church nearby where we lit candles and spent time together meditating. We spent much of the rest of that day walking around London, talking about what we could do to help the world become a better place. Our conversations led us to commit to working together to create International Integrators and to promote Integrative Health globally, broadening our reach to include not just North American medical students, but people from around the world, from all walks of life, all professions and all ages. After returning home from London, we began to share our idea with colleagues and were soon joined by Bill Manahan, MD, one of the pioneers of the Integrative Medicine movement, Adam Rindfleisch, MD, who ran the family practice residency at the University of Wisconsin and subsequently became the director of the Integrative Medicine fellowship, Zoë Keller who became an Integrative Nutrition coach, Jack Temple, a Rush medical student who is now finishing his residency in San Diego, and several other people with different backgrounds and a shared commitment to offering tools that can help people achieve health and balance in their lives. 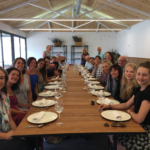 Our main focus has been to offer immersion retreats; find financial and other support for Integrative Health projects around the globe; and publish blogs to share information about Integrative Health. International Integrators has offered Living Whole immersion retreats in the redwood forest of Ben Lomond, California and in a restored medieval castle in the sierra outside the walled Spanish city of Ávila. Arranging funding for the RANA Foundation in Spain which works to prevent child sexual abuse through educational programs in schools and also provides psychological and social services to victims of abuse. Supporting the Children´s Health and Nutrition Project, which provides oral health and nutrition education and services for children and their families in 10 developing countries. 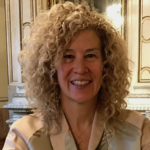 Introducing whole food, plant-based food options in restaurants, schools, hospitals and homes under the leadership of Facilitator Catalina Genestra Villalonga through the International Integrators 4 COS4S program. Over the years, we have been joined by additional Facilitators who have enriched our collective expertise and offerings. Today we have 22 Facilitators and a dedicated group of Advisory Council members who support the work of the organization. We feel a sense of community and shared purpose to bring the principles of Integrative Health to others and help them integrate those principles into their lives. 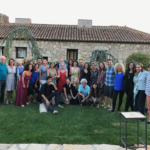 We are looking forward to celebrating our five-year anniversary during our immersion near Ávila, Spain, June 17 to June 22, 2018. The participants who have registered to date are an extraordinary group who range in age from 13 to 80 and who hail from many places across the globe. They will be joined for those wonderful five days by Facilitators from France, Costa Rica, Spain, Austria and the United States.  If you have an interest in joining us, please visit our website at www.internationalintegrators.org or contact us at info@internationalintegrators.org. More information about the upcoming immersion can be found on our website. Happy birthday, International Integrators! We look forward to many more years of adventures in promoting Integrative Health throughout the world. David L. Thomas, Jr., JD co-founded and developed International Integrators in concert with his passionate desire to initiate change in the way that we care for ourselves and each other, and the way we interact with and affect our natural environment. He brings his background as an attorney and businessman, and his expertise in nutrition and plant-based cooking and eating, to the collaborative effort to identify, mentor and support leaders in Integrative Health. 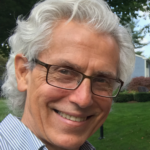 David holds a BA in Spanish Literature from Haverford College, a JD degree from Georgetown University and a certificate in plant-based nutrition from the T.Colin Campbell Center for Nutritional Studies and Cornell University. Kathryn Hayward, MD co-founded and developed International Integrators because she loves to collaborate with others who share her vision for global Integrative Health. She brings to International Integrators her experience in the practice of conventional medicine as a primary care internist at Massachusetts General Hospital and Harvard Medical School, and in the practice of Integrative Health. Kathryn marvels at the power of collective, conscious action on the part of like-minded individuals to manifest change, and loves contributing to that action. Great summary, David and Kathryn. You do great work! Congratulations on our five-year anniversary! Congratulations on five year enjoy hearing about it wish many more years job well done! !